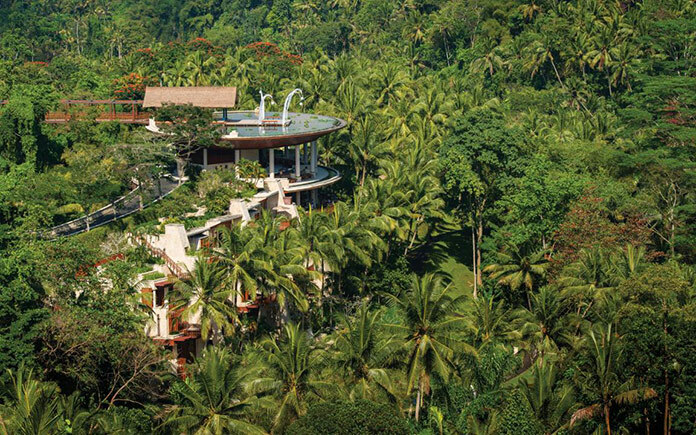 It has been variously described as a “descent into paradise,” “UFO-shaped,” a masterpiece of “aerial sculpture,” and a “giant rice bowl”; the architecture of Four Seasons Resort Bali at Sayan is world-renowned. 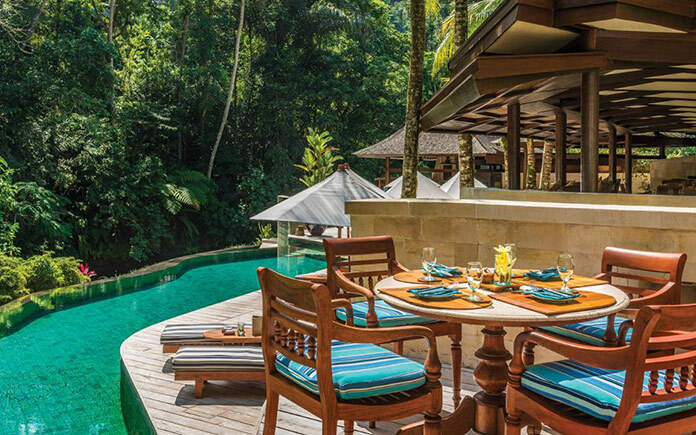 And on an island famous for its people, culture, landscapes and hedonistic delights (Bali was just voted Asia’s Best Island in the 2016 TripAdvisor Travelers’ Choice Awards), Four Seasons Sayan continues to stand out as a bucket list destination. 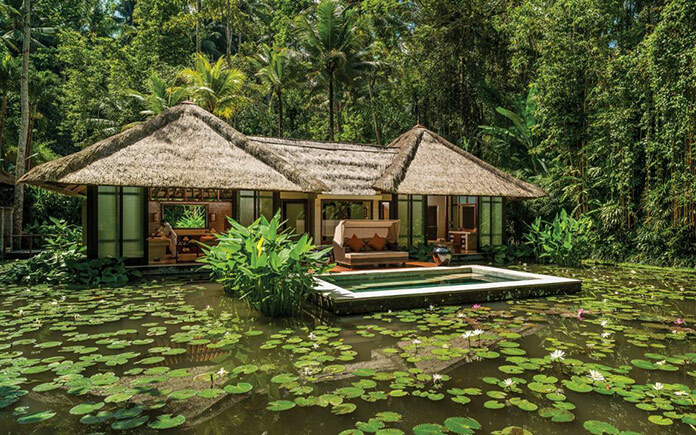 Its immersive design and riverside location offer a complete escape into the wilderness. 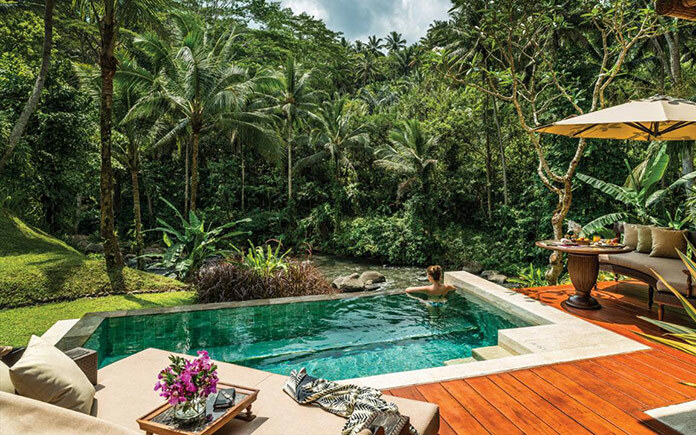 Guests can hide away in Bali’s most private pool villas, and soak up the spirituality and tranquillity with yoga, meditation, spa and even a day in the life of a rice farmer. 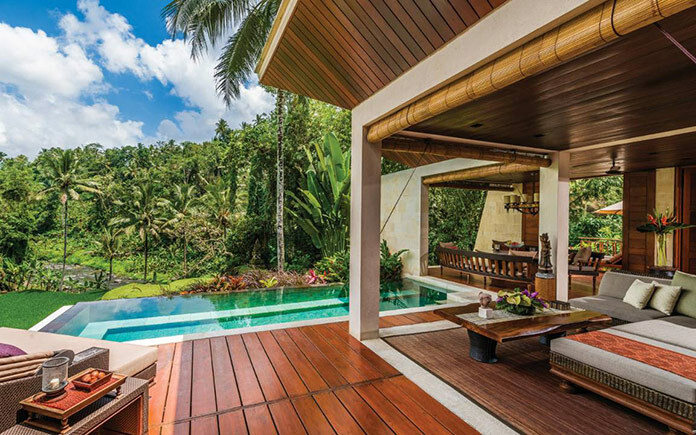 To further expand upon its unique experiences, the Resort has launched a new on-site Rice Bowl Architecture Journey for guests to discover the original inspiration behind John Heah’s unique design. “When I went back after so long away, I just sat down quietly on a bench nearby and watched people at the moment of arrival. Because usually their faces just light up, there’s a big grin of happiness. 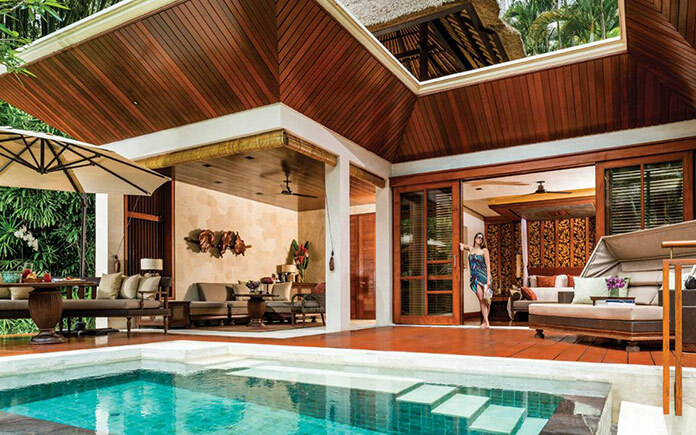 I love that,” John Heah said, after revisiting the Resort recently. 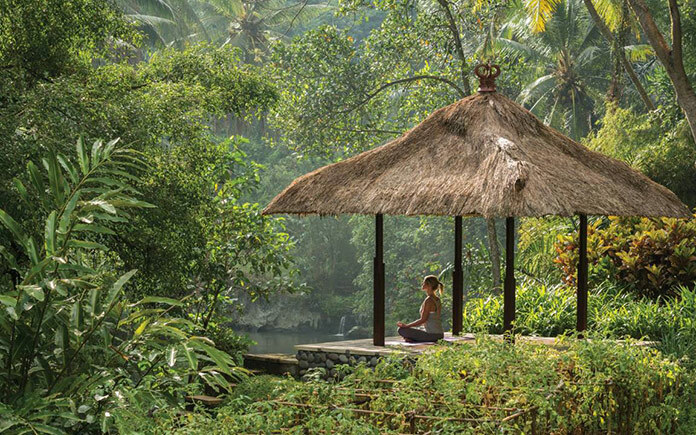 There is an ‘unseen’ energy (known as niskala in Balinese) that creates an immediate emotional connection for guests. Some are brought to tears as they arrive. It is difficult to describe and even I still feel that power and am extremely grateful that I get to cross the bridge every day. 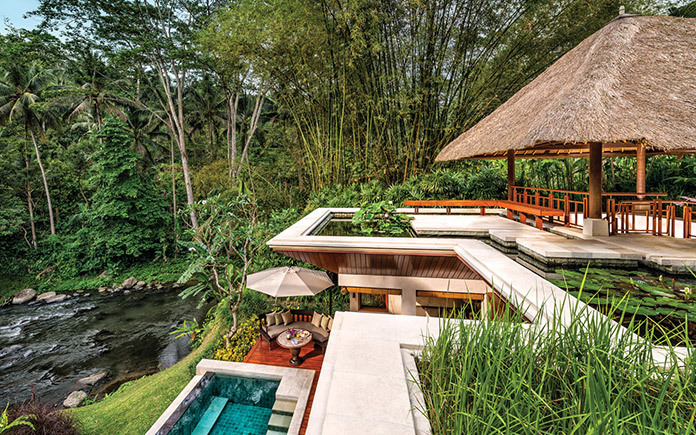 The Rice Bowl Architecture Journey starts at the point of arrival, where guests cross a wooden bridge suspended high above the Sayan Valley in Bali’s central highlands, over a river that is part of the UNESCO-listed “subak” sustainable irrigation system. 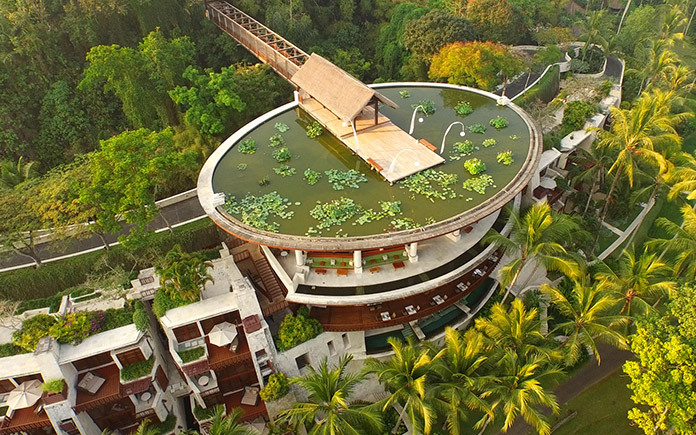 The bridge leads to an elliptical rooftop lotus pond from where they start their descent into the lobby and valley, and the reveal begins. 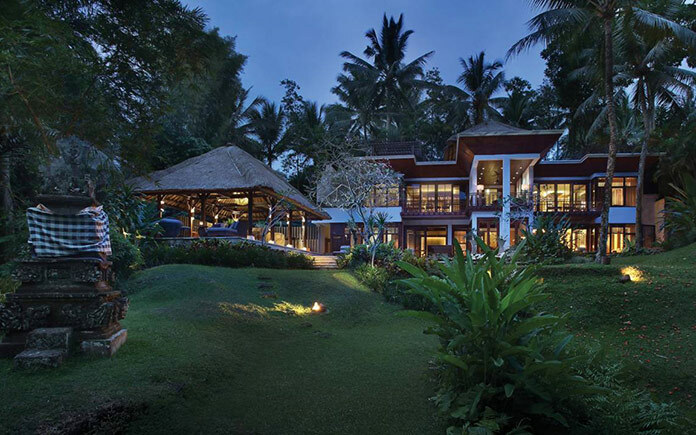 The Resort’s guides share the design story as guests descend through the curved futuristic-style main building surrounded by two acres (nearly a hectare) of rice fields and through groves of fruit trees, vegetable and herb gardens. 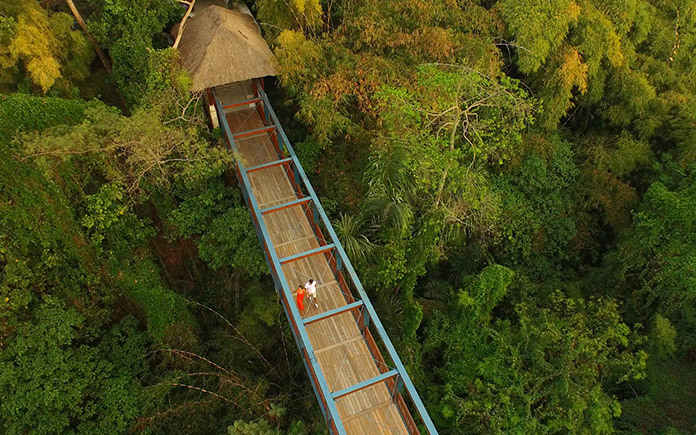 Another bridge takes the tour to the other side of the river to visit a holy spring and explore the surrounding environment. 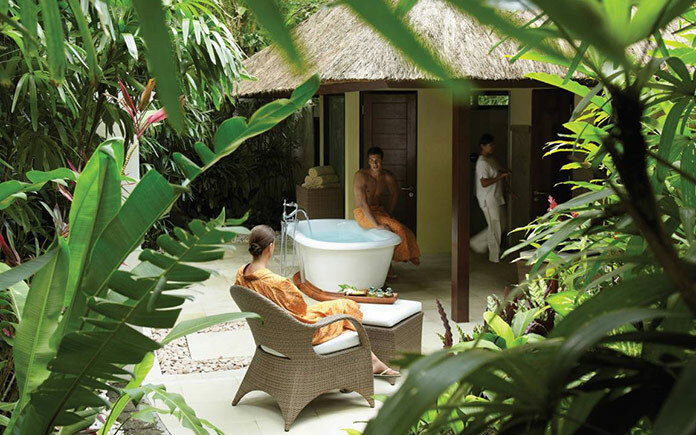 The Rice Bowl walk is followed by a rejuvenating Rice and Spice spa treatment, with a body scrub using a warming homemade paste of organic rice flour and freshly crushed wild ginger, and a 60-minute full body massage. 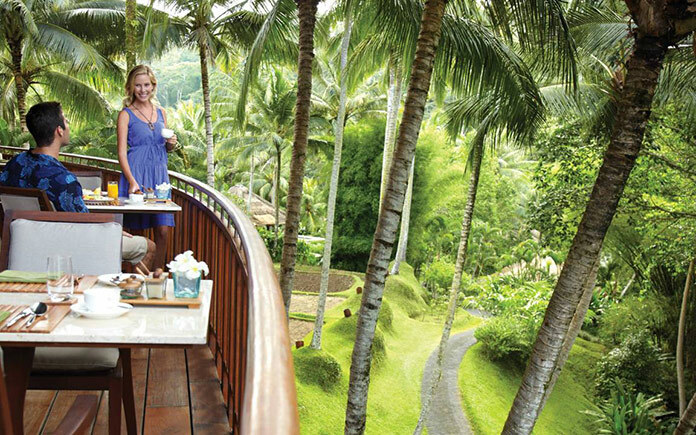 A typical farmer’s lunch of nasi campur (steamed rice served with a variety of dishes) at the treetop Ayung Terrace completes this extraordinary experience.